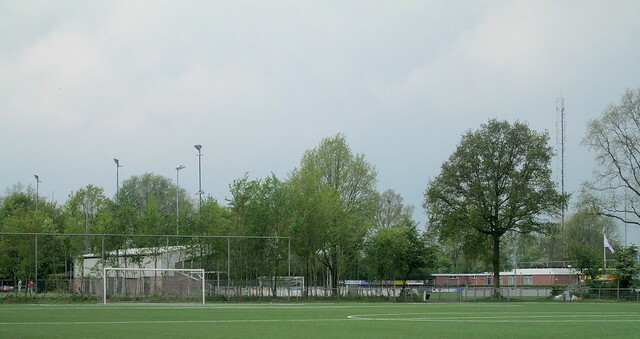 Home of VV Surhuisterveen which plays in the “Fourth Sunday” of the KNVB district Noord after promotion from the fifth amateur level in 2015. I couldn’t see an easy way to get close to the ground so had to photograph it from a distance. It looks a tidy wee ground. From the link it looks like VV Surhuisterveen play in Sons colours! For previous posts about Surhuisterveen see here and the links within.